Bengaluru: Infosys co-founder N.R Narayana Murthy and Mumbai-born scientist Veena Sahajwalla were among the recipients of the PLuS Alliance Prize ¬– a prestigious honour that recognises Research Innovation, Education Innovation, Global Leadership and Global Innovation. 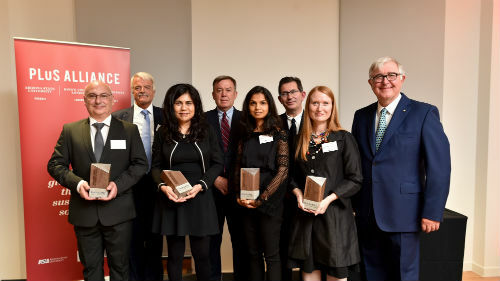 The awards were presented to Mr Murthy, Professor Sahajwalla and the other winners by Professor Sir Malcolm Grant, Chairman of NHS England and Chair of the PLuS Alliance Advisory Board, at a ceremony at the T-H-E World Academic Summit in London. The PLuS Alliance is a unique international collaboration between Arizona State University, King’s College London, and UNSW Sydney. Launched in February 2016, it enables research-led solutions to global challenges while expanding access to world-class learning. The winners who hail from India, the US, the UK and Australia were chosen by a jury consisting of eminent global industry leaders and experts. These included former LinkedIn Vice President Ellen Levy who is now the Managing Director of Silicon Valley Connect, NSW Chief Scientist and Engineer Mary O’Kane, former VP of GE Medical, Europe, Timothy Irish and the three Presidents of the PLuS Alliance universities. 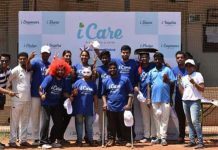 Mr Murthy is known for his clear vision of leadership that has not only resulted in extraordinary growth for his companies but has been integral in bringing a powerful IT wave to India. The jury recognised him especially for his generosity as a philanthropist and thought-leader, with particular acknowledgment of Infosys Science Foundation that is focused on aiding young people in their pursuits of science and research. Professor Sahajwalla’s project ‘The new science of green manufacturing’ is revolutionising recycling to enable global industries to safely utilise toxic and complex wastes as low-cost alternatives to virgin raw materials and fossil fuels. This process re-imagines the supply chain by ‘mining’ over-burdened landfills for resources.